Khye Hill is decked out in white coveralls and clutching a metal container, from which white smoke drifts out of the spout. The junior ecology major is about to get up close and personal with a bee hive. The smoker is used by beekeepers to help calm the members of the colony – who might otherwise be a tad upset that a crowd of people has arrived to inspect their living conditions. “Never before in my life,” Hill says with a laugh when asked how many times he’s done this. The addition of three hives to the 40 acres of tall grass prairie land at Missouri Southern is definitely something to buzz about. Dr. Katie Kilmer, assistant professor of biology and environmental health, says the idea came about during a classroom discussion. “I teach a Principles of Biology class which goes into animal and plant diversity,” she says. “We were talking about the importance of bees as pollinators and how honeybee populations are crashing all over the country and world. 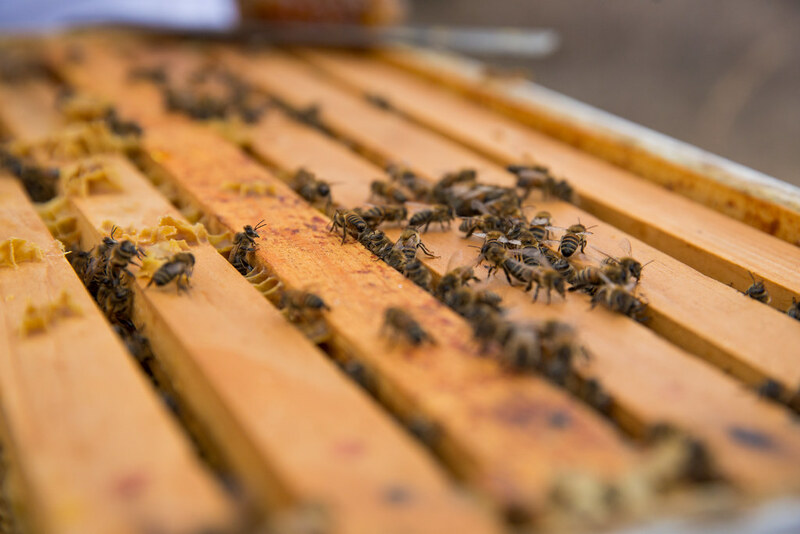 People are being encouraged to take up beekeeping on a small scale rather than just as a commercial enterprise. The answer was no, there weren’t any hives on campus, but she quickly discovered there was support for the idea. “The Joplin Beekeepers Association’s response was more enthusiastic than I could have imagined,” says Kilmer. The association donated three hives that MSSU will use for training purposes. 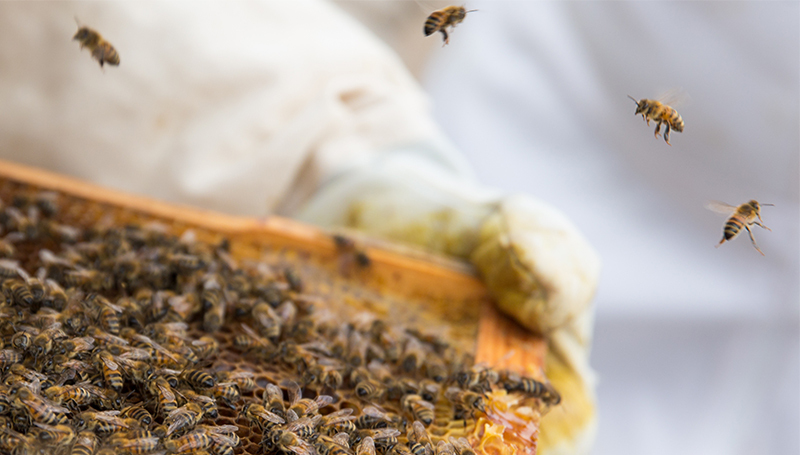 When those hives have grown big enough to reproduce into new hives, they plan to donate more. “Eventually we may have up to eight hives on the prairie,” says Kilmer. The typical hive can grow big enough to support 40,000 to 50,000 bees, says Phil McGowan, a member of the local association. A really large hive can reach 60,000. “We’re offering Missouri Southern some instruction on what to look for in a hive,” he says. On this particular spring afternoon, McGowan says they’ll be looking to confirm that the queen bee has started laying eggs. Hill’s smoker will help to ensure the worker bees stay relatively calm during the process. Should one wonder if there’s going to be a nice supply of honey created from the hives, the answer is yes. At the moment, the primary emphasis is on the undergraduate research opportunities presented by the hives. Another long-term goal is to establish a beekeeping club on campus.